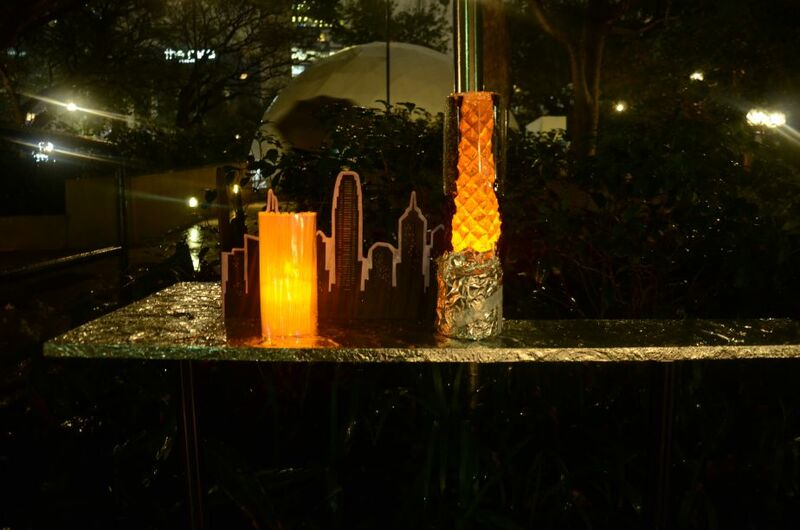 Create Future City by Lantern ! 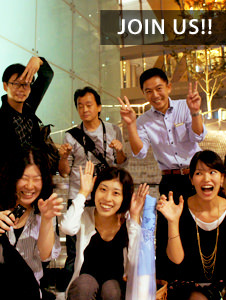 This is the first Lighting Detective event in Hong Kong! This workshop is led by 2015 Bi-city Biennale of Urbanism\ Architecture to explore people’s vision of Hong Kong nightscape. 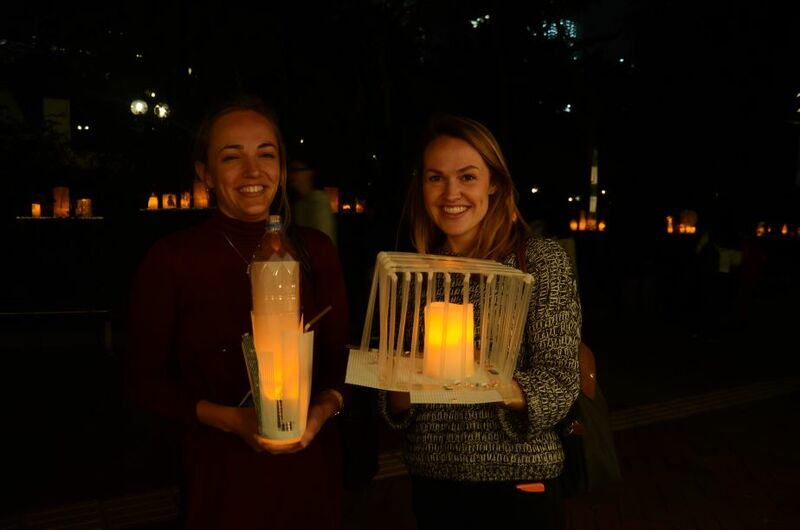 Over 150 participants take part in this meaningful workshop to create future city by lantern. 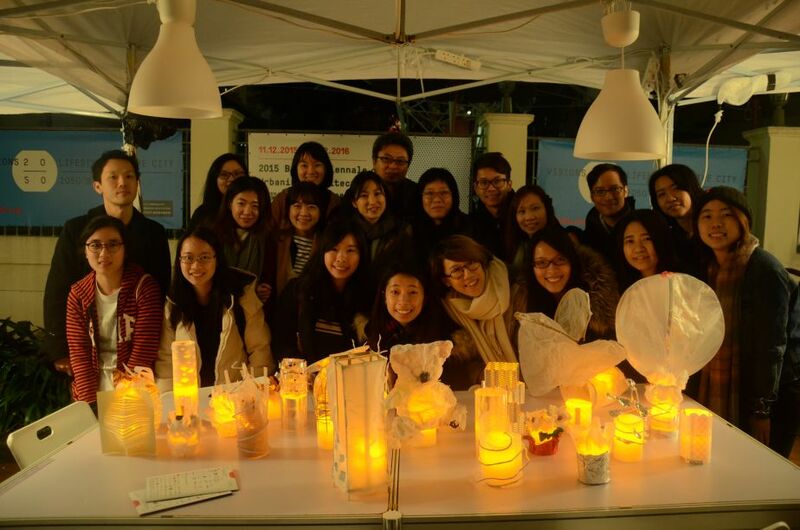 ■Day 1: Student Workshop /Lantern Creating Workshop. 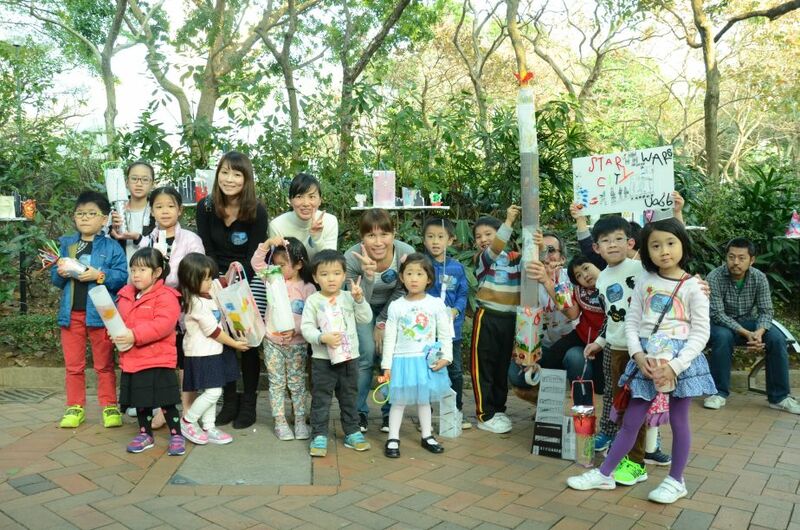 Several Tertiary and University students came to Kowloon Park and joined this workshop. 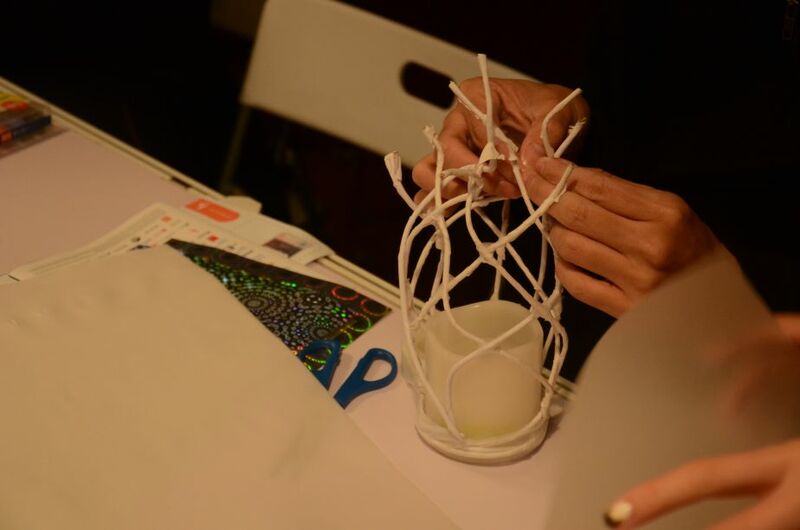 After the speech from Mr. Paul Chu, the representative of Hong Kong Institute of Architects Biennale Foundation and LPA’s brief introduction, students were eager to create their own future nightscape lanterns, several LPA staff also joined in. 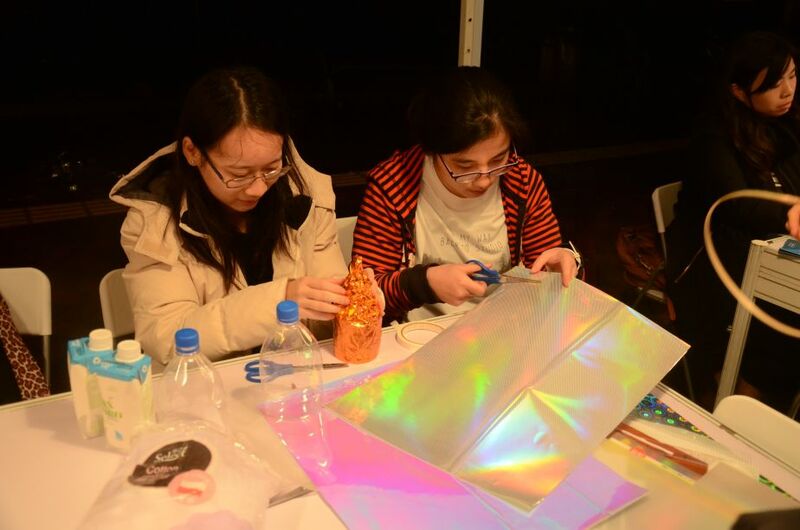 Participants made lantern by using plastic mesh sheets, silver ribbed paper and aluminum sheets, which were turned into lanterns of varying shapes and colours. Even though the weather was not good all participants enjoyed lantern-making. Many of the lanterns were visually interesting and creative, which aroused the interest of many passers-by who were keen to know what Light-up Ninja is all about. Once the lanterns were made, participants displayed their own lantern along the street side. It lighted up and created a warm feeling in such light rainy day in Kowloon Park. It was the second day of this workshop as well as the last day. Luckily, it was a sunny day. We had two sections held in afternoon for the registered kids and one at night for public. This was a good platform to share your thoughts on future city. In kid’s workshop, we prepared lots of colourful materials to draw their attention, such as paper, films, sequins, pens, sticker sheets etc. 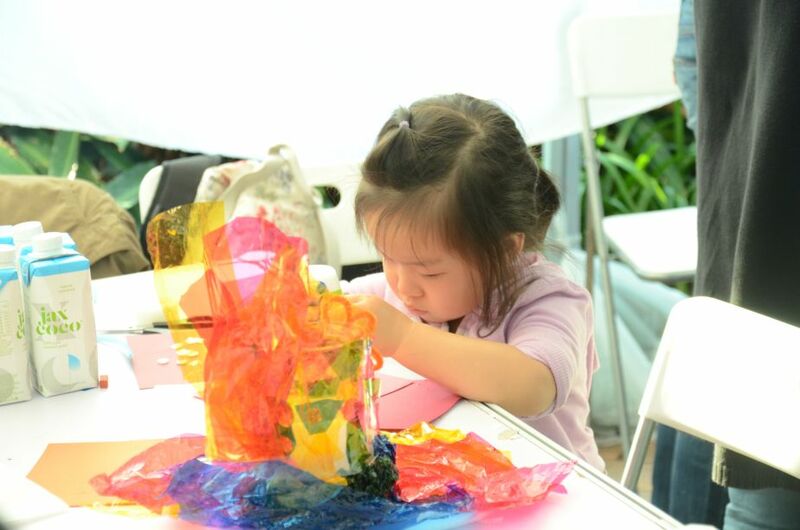 The children preferred to use transparent sticker sheets and colour films also liked to paint. Colour films under sunshine created special interesting effect. 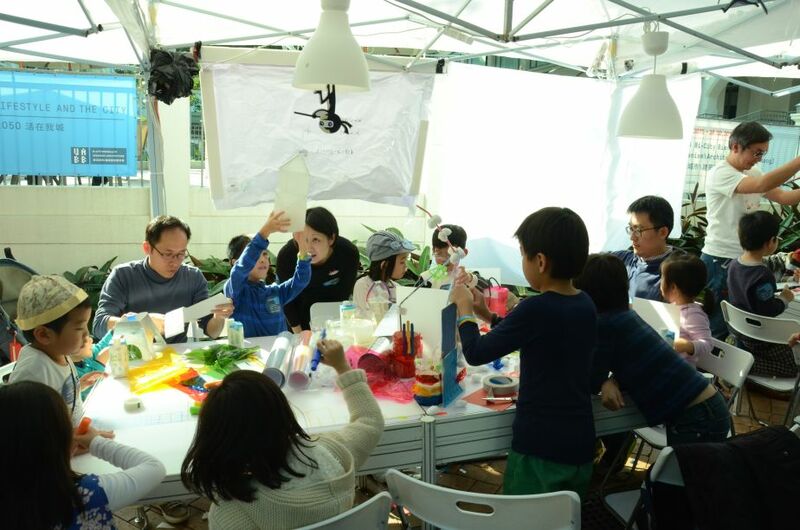 The public workshop was held on Saturday, which was two days before Chinese Lantern Festival, therefore many families and couples were hanging out in Kowloon Park. 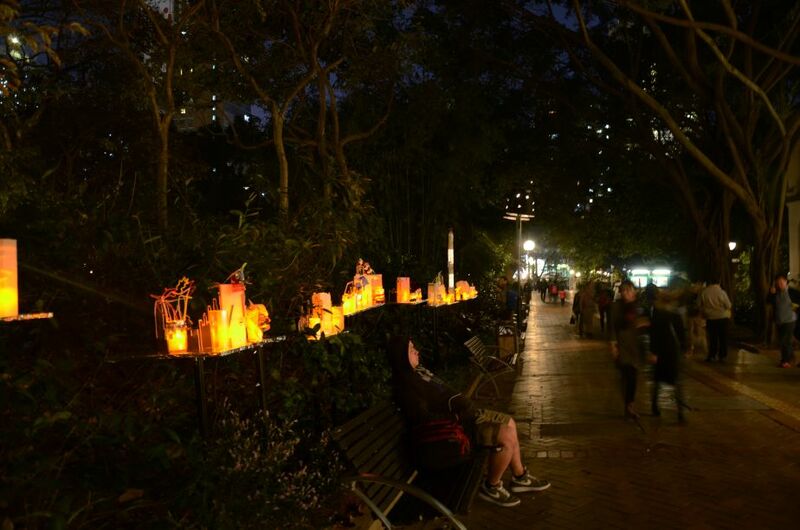 As the sunlight ebbed away, the lanterns placed among the bushes lighted up and embellished the park’s environment. 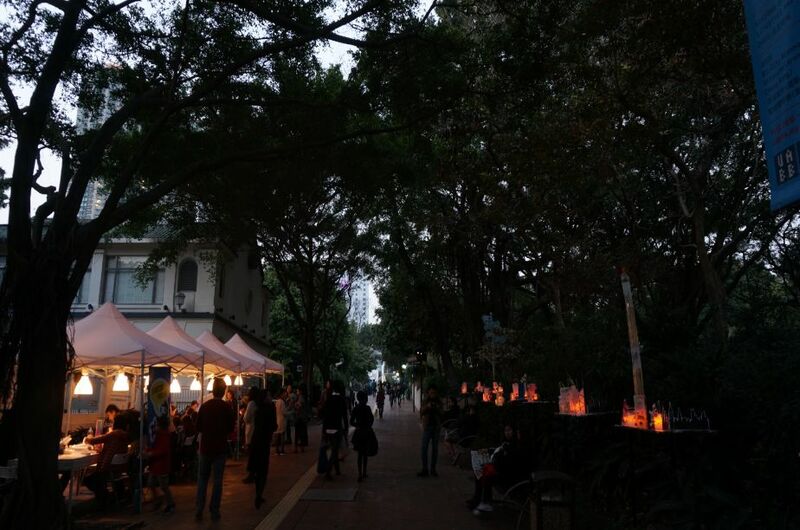 They fascinated many passers-by to slow down and took photos of the creative lanterns, moreover, lots of people were very willing to join the public workshop to create their own lanterns. 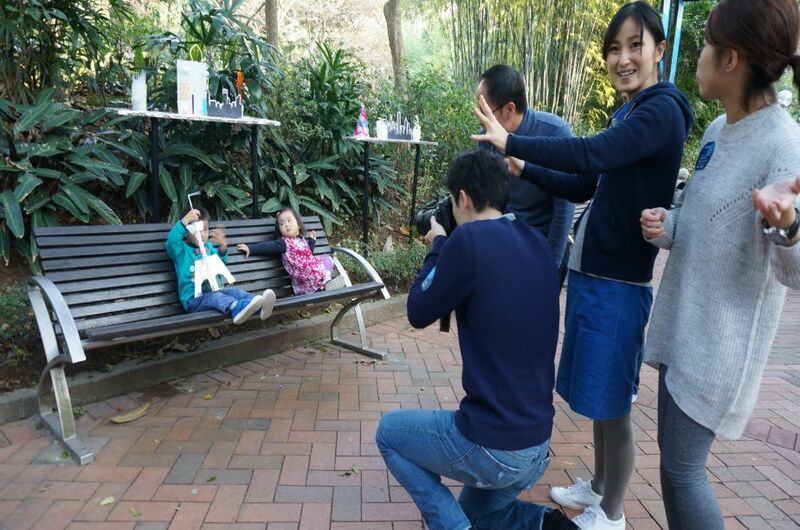 During this session, apart from couples, teenagers, local families with kids, parents and seniors, some tourists from other countries also took part in the activity.